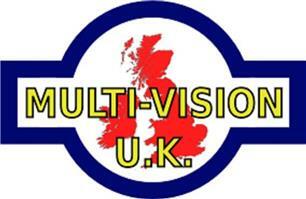 Multi-Vision UK Limited - Alarms/Security, TV Aerials/Satellite Services based in Nuneaton, Warwickshire. Established in 1984 we are a family business offering a same day service to all areas, we can have an engineer to your doorstep within 2 hours of receiving your call. Specialists in: "Digital Aerials" - "CCTV Systems" - "Intruder Alarms" - "Fire Alarms" "Our commitment to offering the highest quality products, excellent customer service and best value for money has kept us ahead of the market and ensured our position as the UK's premier installers." Midlands - Warwickshire, Leicestershire, Birmingham, Coventry, Leicester, all B, LE, CV postcodes.